Trust us to deliver quality supplements to ensure your body has the things it needs. 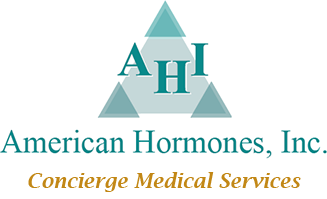 AHI is dedicated to ensuring optimal health for our customers and your patients. There are no prescriptions necessary for any of these supplements. Contact us to learn more. CoQ10 is an antioxidant and may promote growth and cell protection. It is normally found in the hundreds of mitochondria of each cell and is vital for the formation of adenosine triphosphate, the basic energy molecule used by each cell. The human body's ability to make CoQ10 declines with age and with the use of statin drugs. Supplementation may help optimize performance of "high energy" organs, such as the heart, muscles, liver, kidneys, and pancreas. L-Carnitine helps the body convert fatty acids into energy for muscular activity. It is produced in the liver and kidneys and stored in skeletal muscle, heart and brain tissue. Patients with Coronary Artery Disease who supplement their regular medications with L-Carnitine may be able to sustain physical activity for longer periods of time. This comprehensive formula offers enhanced antioxidant protection, broader trace element nutrition and augmented B-vitamin support. The formulation contains various minerals in appropriate doses. A clear, water soluble cellulose coating protects the stability and makes the tablets easy to swallow. USP protocols ensure dissolution in 45 minutes or less for immediate bioavailability. Vitamin a (From Fish Liver Oil) 3,500 I.U. Vitamin a From Natural Carotenes 3,500 I.U. Vitamin D3 (From Fish Liver Oil) 400 I.U. These natural oils have abundant molecules of EPA/DHA that may help prevent aging of the cell and DNA regeneration. The AHI Omega-3 is pharmaceutical grade and molecularly distilled from marine fish oil concentrate. It is mercury and PCB free. The EPA/DHA ratio per capsule is 300/200 mg. This assures the safety and high potency of this product. Virtually every cell in the body needs Omega-3 fatty acids for its structural integrity.